The Best Western McCarran Inn, 4970 Paradise Rd, is perfect for people coming to Vegas for business or those who do not want to be at the very heart of the busy city. 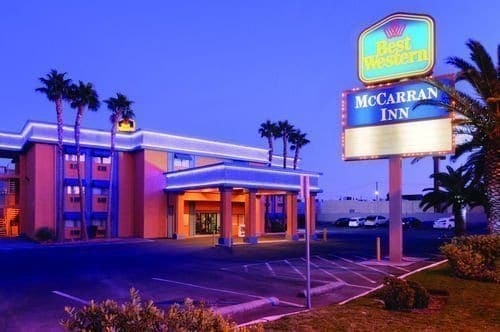 The Best Western McCarran Inn, is close to The McCarran International airport in Vegas, meaning that it is great for people traveling to Vegas on business, or those who don’t want to be in the very heart of the city. 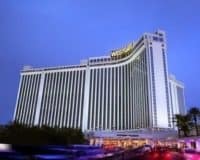 Its offering is simple yet tempting, providing guests with a good free breakfast, a twenty-four-hour reception service, a fitness center and spa, laundry, dry-cleaning, a relaxing outdoor pool and a heated indoor pool, without them having to pay the sometimes-exorbitant fees of the more expensive hotels that lie on the strip. 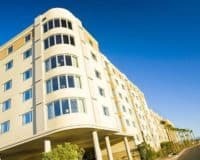 The rooms at this accommodation offer exactly what you want from a hotel with a whole host of features that will ensure that you feel completely at home. They all come equipped with: a bath or shower, a television, a work desk, tea and coffee facilities, refrigerators, alarm clocks, irons and pretty much anything else that is essential in the modern world. 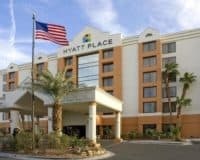 Thus, The Best Western McCarran Inn is perfect for people coming to Vegas for business or those who do not want to be at the very heart of the busy city.